Far beyond the sales growth, profit and awards I’m most proud of what didn’t happen during the Black Out of 1977. I was home in New Canaan at 8:27pm on Wednesday, July 13 when the first call came from Bruce Raba, our District Manager in Brooklyn, telling me the borough had lost power and things were going to get ugly fast. Restive crowds were gathering on the corner of Bedford and Lafayette and at Nostrand and Atlantic. I turned on the television as a lighting strike tripped circuit breakers at Buchanan South on the Hudson River. A second strike caused the loss of two 345kV transmission lines and the loss of power at the 900MW nuclear plant at Indian Point. At 8:55pm there was another strike at the Sprain Brook station in Yonkers and things went downhill from there. By 9:36pm the entire Con Edison system had shut down, almost exactly an hour after the first strike. A surreal light glowed across the Hudson from New Jersey but the sky over Manhattan was dark enough to see the Milky Way. My first concern was that we would lose hundreds of thousands of dollars of product. I called our Area Managers and asked them to call our major suppliers and to lean on them for refrigerated trucks so we could keep the chicken and produce cold until power was restored. KFC chicken was shipped fresh and packed in ice but not frozen making it especially vulnerable. Before morning a million dollars of product had been saved in the trucks thanks to our quick thinking and the unflinching support of our suppliers. We lost absolutely nothing. We had conceived and executed a rapid response on the fly. Most of our inner-city managers, often middle aged black women, stayed in “their stores” throughout the night and through the next day. The ownership they took for their stores was extraordinary. I couldn't respect them more. New York was dark for 25 hours. 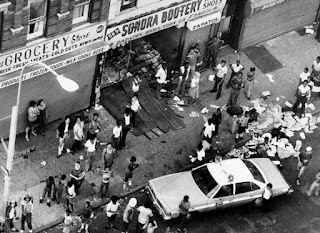 The steaming streets became war zones where, according to the NY Post, “Even the looters were being mugged.” By the time the lights came back on arsonists had set more than 1,000 fires and more than 1,600 stores had been looted. None were KFCs. I believe that because we had rejected the carpetbagger mentality that had prevailed before 1976, that we had demonstrated respect for neighborhoods of color and that our locations were managed by people who were pillars of the community and who took ownership of the situation we were spared. The Blackout of 1977 was “a metaphor for the gloom that had already settled over the city. An economic decline, rising crime rates and the panic-provoking (and paranoia inducing) Son of Sam murders had combined to make the late 1970s New York’s Dark Ages.” according to Time Magazine. 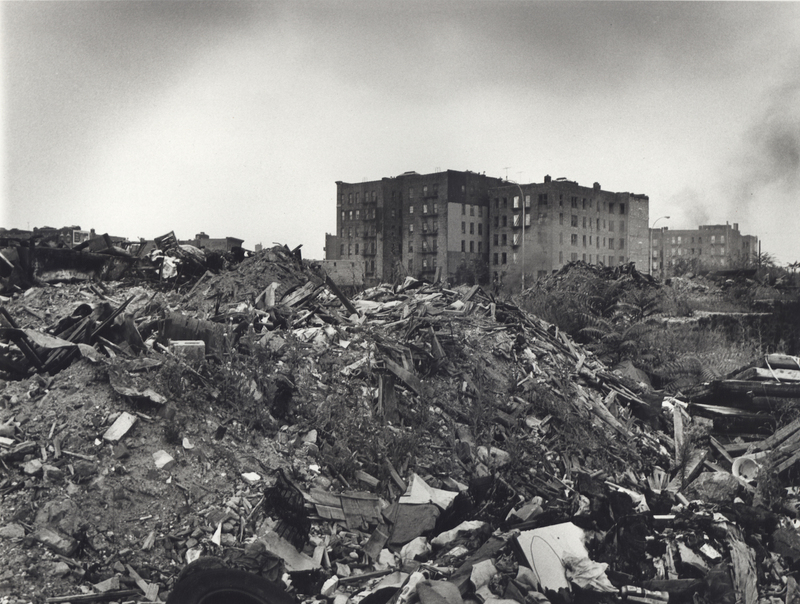 Some saw unrelenting poverty and institutional neglect as the fuel that ignited the explosion. The head of the National Urban League said, "The underclass in a crisis feels no compulsion to abide by the rules of the game because they find that the normal rules don't apply to them." This is one of two stories from my forty years operating restaurants of which I most proud, and both come from places of mutual respect and a measure of caring and humanity. KFC stores in the inner city were often the only national brand businesses in their neighborhoods. One store in the Bronx comes to mind. It was literally the only operating business within six square blocks. Each time I visited the store it felt like it was the last living thing amid the burned-out hulks of apartment blocks and tenements. It looked Hamburg after the bombs. Its manager was a proud Egyptian PhD in Chemistry who had tried teaching high school in the South Bronx and had been unable to stomach the utter disinterest and lack of respect he was shown. To hear him tell it, a teacher in Egypt wielded absolute authority in his classroom. In the Bronx it was worse than babysitting. He was better off, he decided, to manage an ordinary KFC store where he could expect and demand performance from his employees. He did just that and was named one of the ten best managers in the country at the convention in New Orleans in 1977. One of ten from 1,000. I wish I could remember his name. I’m embarrassed that I can’t. Of 68 store managers in NYC, maybe half a dozen were Anglo males. KFC in New York was a true United Nations, operated by immigrants from around the globe. Another top ten manager whose name I can remember was Deepak Patel in Manhattan. Deepak, a slight, soft-spoken gentleman with a college degree and a commitment to excellence was a first generation American from Pakistan. When I Googled Deepak Patel four names popped up, three were medical doctors in the United States and the other was a retired New Zealand cricketeer of Pakistani descent. Without immigrants we couldn’t have operated those New York stores in 1977. Steve, sounds like you were a very busy and conscientious guy during those KFC days. How we handle ourselves in those early years of being business people shapes how we live the rest of our lives. Nice that you can be quite proud of your managerial role in that era. Thanks Terry. It was a fruitful period though I didn't appreciate the magnitude of the moment at the time. I hope the piece isn't too self-congratulatory. This is a great piece of writing about a stunning period in your life and the people who joined you in that time. Your managerial skills gave you the best in the neighborhood population, and they became the best managers. In a perfect world, this is how things should work. You made it work in 1977 during the New York Dark Ages, as you called them. Kudos on what you did then, and what you are doing now in your photography and literary life. Thanks, Daryl. It's gratifying in hindsight. As I told Terry, I didn't appreciate it fully at the time. Reading newspaper and magazine accounts really brought it home.